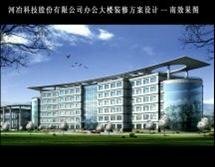 HEYE Special Steel Co., Ltd. (hereafter briefly referred as HEYE) is a joint venture Corporation. Its main shareholders are Advance Technology & Materials Co., Ltd. (hereafter briefly referred as AT&M), Sumitomo Corporation and Erasteel Corporation. 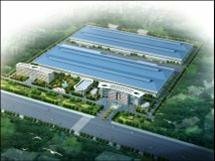 HEYE is a specialized high speed tool steel plant integrating production and R&D, the leader unit of HSS specialty group under Chinese Special Steel Association and one of the Top 50 Industrial Enterprises in Shijiazhuang. HEYE cooperated with National Engineering Research Center for Advanced Steel Technology (NERCAST) to set up HEYE Tool and Die Research Center.The main steels of HEYE cover five fields: HSS, HSS-PM, Alloy Tool Steel, Stainless Steel and Other Special Requirement Steels; include 12 series of products: forged bar, forged billet, hot-rolled round bar, square bar, flat bar, wire rod, cold-drawn bar, peeled bar, ground bar, steel plate, hot-rolled strip and cold-rolled strip. According to the customers’ requirements, we can supply forged billet for cutter and mould, welded billet for cutter. The products of HEYE are widely applied in tool, die, automobile, aviation, shipbuilding, military, metallurgy, steam turbine etc; sold to domestic and overseas market. HEYE values “Being friendly and working loyally, considering the customers preferentially, creating the well-known brand and profiting the society”; advocates “diligence makes good achievement, kindness makes good humanity, honesty makes good business, perfection makes good skill and thrifty makes good virtue”; conducts “Seeking truth and Being Pragmatic, Acting promptly and Persevering”. Continuously enhancing R&D and Innovation capability, technical and progress level; improving the sales model and service quality, we contrive to be a world well-known supplier for the global market of HSS and provider of solution.